Bike to Work Week is upon us once again! 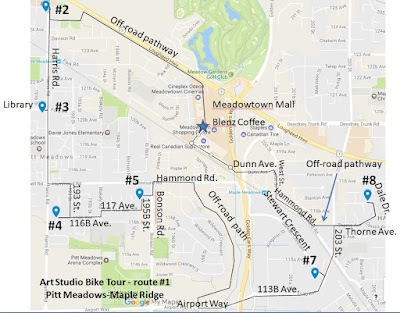 Perhaps this is something you would like to try, but you aren't sure about a good route to take through Maple Ridge and/or Pitt Meadows? We might be able to help. If you need advice or tips on how to make a commute by bike work for you, send an e-mail to mapleridge-pittmeadows@bikehub.ca. 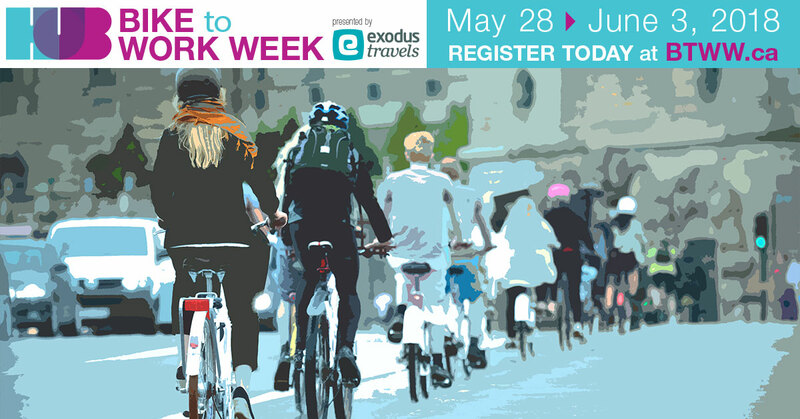 You can register for Bike to Work Week here. This is also where you log your daily trips, for a chance to win one of five daily bike giveaways and over $10,000 in additional prizes! Hope to see you at one of these stations! Our meetings are on the second Thursday of the month. UPDATE: This ride took place in May 2018, in case you're arriving here afterwards. Don't worry though; we're planning to host this ride again in summer 2019 - come back for details! 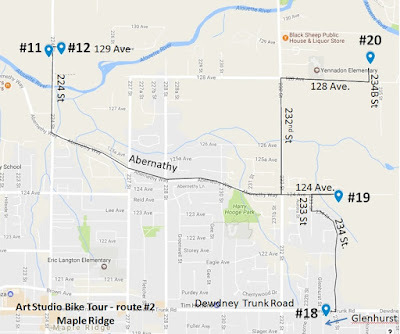 We're hosting a community ride in May to show off some bike routes for getting around Maple Ridge. Not everyone is a seasoned cyclist and/or knowledgeable about our local network of bike paths, lanes, and routes. For newer cyclists, the routes you might take using a motorized vehicle probably aren't appropriate for use with a bike. It can also be intimidating to ride a bike in traffic. 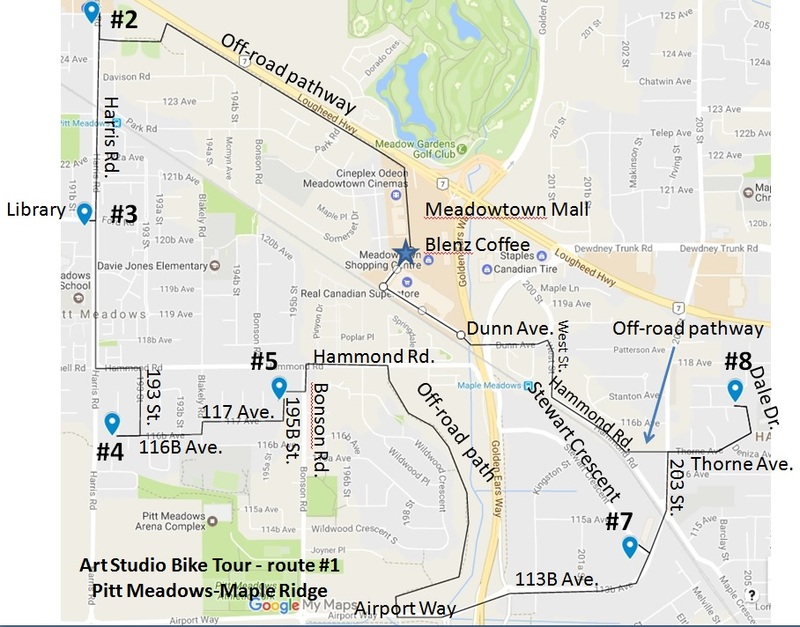 This ride is about sharing routes you may not know about to get from your neighbourhood to shopping, restaurants, and recreation, and to give you a chance to try out the routes as part of a guided tour. Our route takes in downtown Maple Ridge and areas to the west. We call it "Maple Ridge 101" as it uses some of our most-used paths and goes near a lot of popular destinations. We'll meet at the Bandstand at Memorial Peace Park, cycle through downtown, head past the hospital toward Hammond, then head north past Westgate, turn east, and head back into downtown, finishing at the Witch Craft Pub for refueling and socializing. The ride is Sunday, May 20, 2-4 PM. This is an inclusive, casually paced ride. For legal reasons, we must ride in groups with a maximum size, so it is important to register and not just turn up at the event so we know how many riders to expect. To register, visit the event page and sign in or sign up. At Council Workshop on January 9, Maple Ridge Council had a discussion on two recommendations by the Active Transportation Advisory Committee. Here is the link to the recordings of the meeting. Edge Street, from McIntosh Avenue to Dewdney Trunk Road. The discussion on cycling on the sidewalk starts at 1:57. 2. Reducing the speed limit on 224th Street between Lougheed and Dewdney from 50 to 30 km/h. 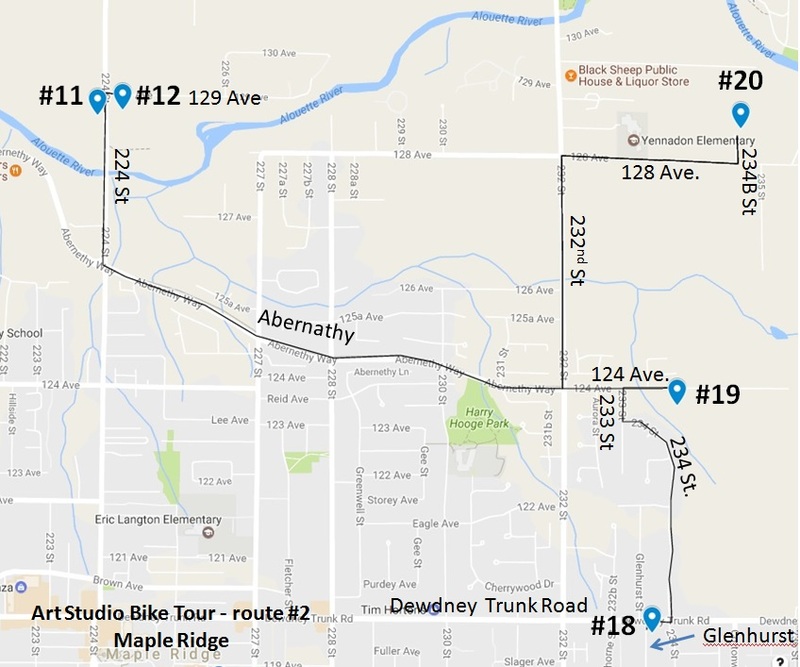 This issue will go back to the Active Transportation Advisory Committee, with the request to look at extending the section of 224th to North Ave. to the south, and 122nd Ave. to the north, and also to look at the feasibility of reducing the speed limit on Dewdney. In principle it's a good idea not to allow cycling on the sidewalk. The problem, however, is that cycling on some of these roads is too dangerous, and people on bikes tend to disregard any laws that will put their lives in danger. 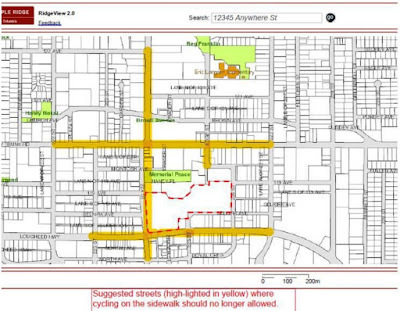 For some reason the Active Transportation Advisory Committee decided to recommend to apply the changes to the by-law only to bikes, but not roller blades and skateboards. Coun. Masse would like to see those added. Note especially the comments by Coun. Shymkiw, at 2:06. He would like to ban bikes altogether, as he feels they're the cause of all congestion and greenhouse gas emissions in Maple Ridge! All but Coun. Speirs are in support of the cycling ban on the above mentioned sidewalks. I would like to make the following comments after listening to Council members' comments made during Council Workshop of January 9 with regard to banning cycling on the sidewalks on certain sections of streets in the downtown core. First of all, it's nice to once again hear the voice of reason: thank you Councillor Speirs, for standing up for the needs of people on bikes of all ages and abilities, and for a healthier, more livable city that works for everyone, not just for those in cars! The topic of cycling on the sidewalks has come back time and time again over the past decade since the by-law allowing it in Maple Ridge came into force. The only effective way to solve the problem of cycling on the sidewalk is to give people on bikes a safe place on the road. Even if it is no longer allowed, people will continue to ride on the sidewalk (the majority will do so with due care and consideration) as long as they fear for their lives when riding on the road. Under the by-law that's now to be rescinded, cycling on the sidewalk is only allowed with due care and consideration. That means that the by-law already gave the RCMP the full ability to address irresponsible behaviour. There is no reason whatsoever to assume that this behaviour will change by banning cycling on certain sidewalks. The changed by-law will, however, make our downtown less accessible and welcoming for the law-abiding segment of the cycling population, as the RCMP have already stated they will now need to go after all people on bikes who seek refuge on the sidewalk, whether they ride with due care and consideration or not. I sincerely hope that this will not distract the RCMP from dealing with the more serious dangers on our roads: speeding, distracted driving and otherwise irresponsible behaviour by drivers who can and do kill and maim their fellow road users. I totally understand the concern that especially elderly pedestrians have with those riding their bikes on the sidewalks "zooming" along with no consideration for the safety of others. However, somehow the concerns that people on bikes have about hostile, aggressive and inconsiderate behaviour of some drivers (it only takes one!) continue to be entirely ignored by the majority of members of Council. As Coun. Speirs rightly stated: "there's a big difference between being scared as a senior and being dead as a cyclist". A few more years and I'll be part of the senior demographic myself. I find it totally incomprehensible that my life only appears to matter as a pedestrian, but is seen as expendable when I happen to be riding my bike, senior or no senior. I've met numerous seniors who get around by bike, whether by necessity or by choice. I think they should be enthusiastically welcomed to our downtown, and they should be encouraged in their efforts to keep active and healthy for as long as they possibly can. We're making it pretty darn difficult for them sometimes! 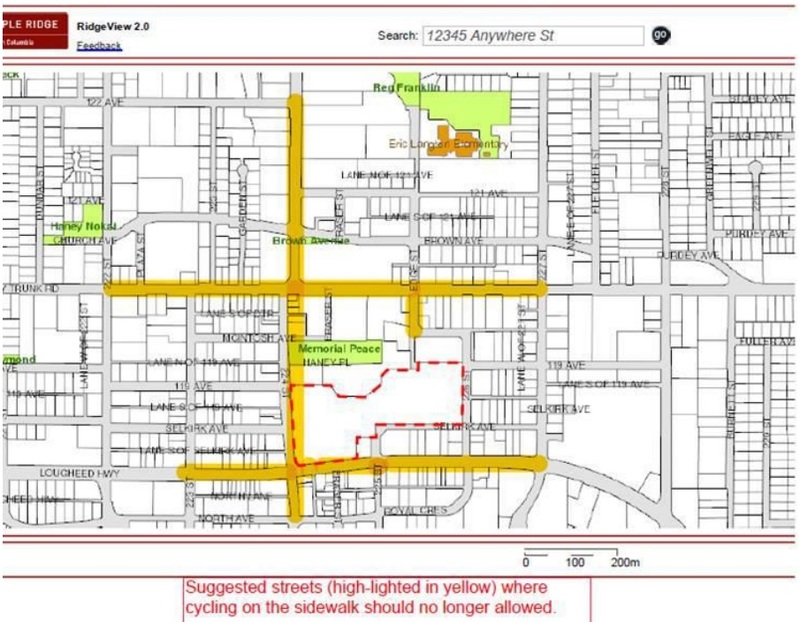 Hopefully, now that the decision has been made, we can move on and do more to make people on bikes feel more welcome and safe in our downtown, and to improve designated bike routes in the downtown core, which are still mostly no more than lines on a map. There should be more to a designated bike route than merely directing people on bikes away from the more convenient and busier routes, and to the routes with all the stop signs, where the cyclist is almost always required to give the right of way to the car. Safer cyclists means safer pedestrians. Dangerous road conditions for cyclists means more dangerous sidewalk conditions for pedestrians AND cyclists. Increasing density in our downtown makes cycling an increasingly viable mode of transportation, but only when and if cyclists are given a safe space. I would further like to touch on some comments made by Coun. Shymkiw, who appears to blame bikes for congestion and increased greenhouse gas emissions due to "ripping out car lanes and replacing them with bike lanes". He's even of the opinion that bikes should be banned altogether. Some on Council may seem to find his comments hilariously funny, however, we're talking about human lives here, and I feel any comments made in a Council meeting regarding life and death issues should be taken dead serious. 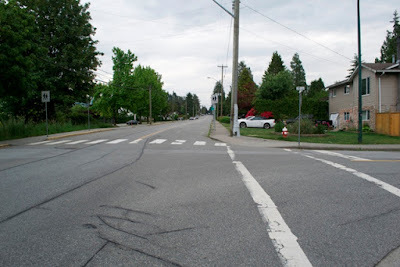 Nowhere in Maple Ridge have road lanes been taken away from cars and given to bikes. On 203rd Street residents now have less public street parking due to the cycle track, but the available road space for moving cars has not changed. Ample street parking is still available in the area. Reduced parking on this street does not result in congestion. Cars are still prioritized above every other road user on every single road in Maple Ridge. Congestion is caused by too many cars on our roads, and a lack of viable alternative transportation options. Bikes can cause delays for cars where they are forced to use narrow road lanes, and no bike lanes, shoulders or separated infrastructure are available. The problem is poor infrastructure, not the presence of bikes. Community greenhouse gas emissions in our city from transportation sources are almost entirely caused by cars and trucks - not by bikes - and they're going up. Maple Ridge has committed to reducing community greenhouse gas emissions by 33% from 2007 levels by 2020, regardless of our population growth. I find it very disturbing that reducing greenhouse gasses is seen as a joke, judging from the suggestion by Coun. Shymkiw to ban bikes and push more people into cars. Scientists are overwhelmingly in agreement that climate change is for a large part to be blamed on human activity. I think that, being among the biggest emitters in the world, as Canadians we have a responsibility to our children and to those living in the countries and regions most seriously affected by climate change, to take this issue most seriously and to offer individuals the opportunity to do their share. As to cyclists inhaling harmful emissions: again, the emissions are caused by cars. People on bikes tend to avoid the main roads where feasible, mostly avoiding adverse effects on their health. As our road system presently doesn't always provide alternative routes, using (sometimes sidewalks along) the main roads is not always avoidable. In future more and more cars will be electric, and harmful effects from emissions (as well as excessive noise pollution from cars and trucks) will be significantly reduced, which is why planning for fast and convenient bike routes along the main corridors makes a lot of sense. It most definitely does NOT make sense to ban the bike. The general and overwhelming consensus is that cycling provides numerous health benefits that far outweigh the negative health effects (lots of empirical evidence available, Mr. Shymkiw!). Have you heard about 529 Garage? It's a free bike registry that can help the RCMP recover your bike in case it gets stolen. 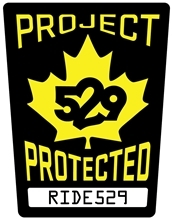 You can register your bike on-line at www.project529.com, or at one of several registration events that Ridge Meadows RCMP will be holding in the next few weeks.